Free Upgrade to Windows 10 available on Small Detours | ODosta Inc.
Actually, the offer should end on July 29th. However, apparently, only the GWX advertising program came to an end. The upgrade is available on request, but still free, and quite officially from Microsoft. In the first year after the release, Microsoft offered the upgrade to Windows 10 free of charge to all Windows 7 and 8.1 Home and Pro editions. In order to persuade as many users as possible to accept the offer, Microsoft installed the GWX program (“Get Windows X”) on all upgrade-entitled Windows installations, but this was annoying for some users. On July 29 the deadline now ended. Since then the GWX program has been silenced, but the offer can still be accepted. Upgrade to Windows 10 Available??? There are currently two working ways to get a free upgrade. The first is a clean new installation : you need an installation medium, which contains the November update of 2015 already. Corresponding ISO images can be downloaded directly from Microsoft . Installation media created with this software will accept installation keys from Windows 7, 8 and 8.1, if they fit into the edition. Windows 10 Pro accepts 7/8 / 81. keys from Pro (fessional) and Ultimate, Windows 10 Home accepts key from Starter, Bing and Home. The second is an upgrade installation , that is, to convert an existing Windows installation into Windows 10. A small program that Microsoft itself provides for download helps . It is officially only intended for people who are dependent on “help techniques” for ease of use, such as the language output or the magnifying glass. The program works but on any suitable Windows. New in Windows 10 is the Info Center. It provides quick access to key settings such as screen brightness, flight mode and so on. It also collects messages that are delivered from Windows 7 as speech bubbles and from Windows 8 as “toasts”. This may include information about Windows updates, but also app-specific messages about new mails, appointments and so on. The info center can be opened by clicking on the message symbol in the info area of ? ?the tasklist; On touch devices also works with a wipe from the right into the picture. The assistance function Cortana is oriented to the purpose of established digital assistants such as Apple’s Siri or Google Now: it searches by inputting the language on the web, creates notes and appointments, starts the Navi app and so on. For Cortana to gather the necessary information to know that today you would prefer to spend a quarter of an hour on the road to training, or on commanding a musical title, Cortana search services need extensive access to all sorts of information sources: from camera and microphone via their own documents, mails and pictures To address book and device location. In this point, Cortana does not differ from services like Google Now. The whole thing works only when the user logs on to Windows 10 with a Microsoft account, via which the collected data can be evaluated and converted into concrete tips. In contrast to all previous versions, Windows 10 is an up-to-date operating system. Microsoft calls this “Windows as a Service” property. This means that Microsoft plans to release a new edition of Windows 10 approximately one to two times a year. With it, the users get the benefit of the latest Redmond development – who owns a license can always use the current version of the operating system. However, these version upgrades can not be delayed in Windows 10 Home and can only be delayed by a few months in Windows 10 Pro. As an end user, the Versions-congratulation by Microsoft is thus at the mercy of the mercy. Even the normal big-client version Windows 10 Enterprise can only delay the upgrades as long as the Pro-Edition. They can be completely avoided only with the special version called “Enterprise LTSB” (Long Term Servicing Branch), for which Microsoft guarantees ten years of security updates, For which You need to Activate Your Windows 10 by Getting its license. Perhaps the most important innovation in Windows 10 is the strong advancement of the tile interface, which the manufacturer has long termed as “Metro” and later as “Modern UI” (Modern User Interface). If the classic Windows desktop and the modern UI in WIndows 8 had two separate interfaces, which were often blocked in a vicious way, Microsoft did a lot in Windows 10 to merge both. The goal is a user interface that represents all applications equally, whether it is a modern tile app or a classic Office program. Modern apps in Windows 10 can be moved and resized as old programs. Sometimes the use of modern apps is more comfortable than the classic PC programs. Microsoft uses the so-called Responsive Design. What is meant by this are mechanisms that are so far known primarily from the web site development: the display of a program adapts dynamically to the window size. The narrower you narrow an app window, the more features will move into space-saving menu icons, which only show their contents by clicking. The user interface of Windows 10 offers many new features. If you are using Windows 7, you will get several new features that have already been introduced in Windows 8, for example, more informative copy dialogs, a significantly improved task manager and ISO mounting, ie the inclusion of a CD or DVD image as a double-click Virtual drive. Apart from that, Windows 10 now adds virtual desktops. The Aero Snap function, which has been added to the left or the right half of the screen since the Windows 7 window, is extended: windows can now be dragged into the four screens and then be fitted to a quadrant. This is especially useful on 4K monitors, to move four windows into the full HD format with just a few hand movements. Under the hood, however, only a lot changes when one comes from Windows 7. The storage pool management Storage Spaces already exists in Windows 8, as well as the log on the operating system with a Microosft account and the integrated virus guard called Defender. New in Windows 10 is, for example, the main memory compression called Compression Store: If the free RAM is running out because of acute workload, memory contents, which are not currently in use, are first compressed to create some space. Only then does the operating system start with the so-called swapping, ie the swapping out of RAM contents on the hard disk. 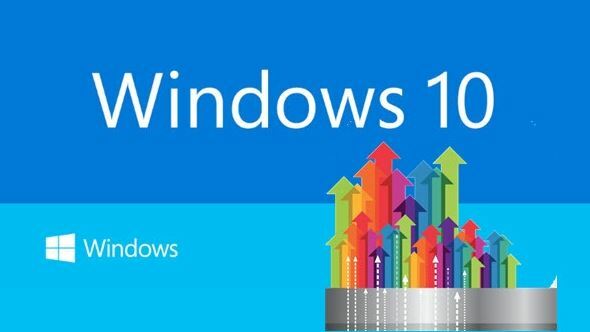 Microsoft’s “Windows as a Service” World has so far been experienced twice: Mid-November 2015 updated millions of computers from the original edition with the build number 10240 to the newer Build 10586, better known as “version 1511″ or ” November Update “. At the beginning of August 2016, the “Anniversary Update” was followed by a jump to version 1607. Daber made it clear that Microsoft does not yet have the distribution of new versions under control. Many users complained about settings that were reset to factory defaults – in the worst case, data protection concerns, but the range of problems ranged from non-functional virus scanners through reverted sound schemes, language settings, keyboard shortcuts, network settings, computer protection settings, and much More up to no more normal bootable systems. Even with the installation of the version upgrades, there are always problems, which are often enough with hardly helpful error codes. If you can not install a new version of Windows, you should first uninstall any software that interferes with the system, such as virus scanners, backup and tuning software, RAM disk drivers, drivers for virtual CD drives, and the like. If the disk is encrypted with something other than BitLocker, it must be decrypted before a version upgrade can be installed. Otherwise, the actual setup environment Windows PE does not find an installation target, and the new version can not be imported. We experience problems with too little memory space, especially on cheap tablets and some netbooks, which have to deal with 32 or even 16 GB of internal flash memory. The upgrade setup then asks you to connect a USB stick to the memory expansion, but this often does not help. First, it is recommended to clean the system files with the data carrier cleaning. Set ticks to all available options to free up as much space as possible. Windows Update cleanup may take longer; We have already experienced running times of several hours. Also, start the upgrade from a USB setup stick (see section “Media Creation Tool for Version Upgrade and New Installation”). If it still does not, back up your personal files and delete them from the tablet. 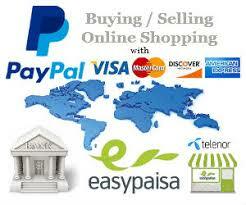 In addition, you can step-by-step programs that you can reinstall after successful version upgrade. The technical reason for this flood of problems lies in the way how new editions of Windows 10, Microsoft is called them “feature Uprgades“, are distributed. They do not simply come as big Windows updates, but as full upgrade installations. The existing old installation is moved to the folder “c: \ windows.old”, the new version is installed and all data, programs and settings are transferred from the old installation to the new one. Exactly this process is not quite round in many cases. “Windows as a Service” also provides for ample data transfer: downloading a version upgrade puts a strain on the Internet connection with around 3 GB transfer volumes. The much-bragged data collection fury of Windows 10 may polarize – after all, Microsoft offers ample opportunities to suppress the monitoring of user behavior. Probably the easiest is not to use Windows 10 with a Microsoft user account: services such as Cortana and OneDrive can not work at all. How do I stop the data collection? It is useful not to log on to WIndows 10 with a Microsoft account, but to set up a local account. The best way to do this is to set up the system: If the setup wizard asks you for the mail address and password of your Microsoft account, click on the small link “skip this step” below the input fields. In addition, you should disable all the features that you do not want to allow Microsoft in the “Privacy” settings. Can I turn off Cortana despite Microsoft’s account? Yes. In the settings under “Privacy”, open the function “Voice recognition, freehand and input” and click on “Stop learning”. Then, click once on the search box in the tasklist and in the following query, click “No, thank you”. Is Cortana on the desktop at all useful? Depends on. Although your Desktop PC can not capture your location at any time and can not serve as a navigational aid during your holiday, the notifications of appointments and co-operation with the desktop Cortana also work. Remember, the use of Cortana is particularly useful when you use the assistant on your smartphone. Until July 29, 2016, users of Windows 7 and 8.1 could change to Windows 10 free of charge – at least official, because the free upgrade is still possible. Microsoft offers it to everyone who uses access technologies for accessibility. On the dedicated website , the manufacturer declares that the offer is not limited to certain auxiliary technologies. The question of when to accept the upgrade leaves a wide range of interpretations: in principle, the occasional use of the screen magnifier is enough. The famous notorious download tool called GWX is now a thing of the past, so the way to get to the Uprgade is now another. For an upgrade installation that keeps programs, data, and settings as good as it gets, there is now a new tool that will lead you through the upgrade process with just a few clicks. On the page linked to the previous section, it is available for download. However, it is still possible to connect the changeover to Windows 10 with a clean re-installation: The setup media also accepts License keys for Windows 7, 8 and 8.1 in version 1607. And the activation is still possible without problems – in our previous tests with keys that were never used with Windows 10 before, and on hardware that has not yet been digitally authorized. Upgrades are licenses for Windows 7, 8 and 8.1, with the exception of the respective Enterprise editions. In detail, this means: Windows 7 Starter, Home Basic and Home Premium, Windows 8, 8.1 and Windows 8.1 with Bing are updated to Windows 10 Home. If you use Windows 7 Professional or Ultimate or Windows 8 Pro or 8.1 Pro, you get Windows 10 Pro. The digital license is the proof of the free upgrade to Windows 10. It consists of a unique hardware ID, a kind of hash value, which is generated mainly by the mainboard, as well as the license key of the Windows 7 and 8.1 respectively. “Apparently,” because Microsoft does not reveal so exactly – but the behavior of the activation of Windows 10 free upgrades suggests. The digital license is stored on Microsoft’s activation server with an old license on the first successful activation of Windows 10. It causes Windows 10 to be activated in the appropriate edition on one and the same hardware without having to enter a license key again. After installation, Windows 10 creates the hardware ID and sends it to the activation server. If the user registers that a digital authorization is already available for this PC, the installation is activated without further intervention. Since version 1607, the digital license is automatically linked to a Microsoft account as soon as one logs on to Windows 10 with one. The whole is to enable a comfortable re-activation after a larger hardware exchange. Currently, however, the reactivation is only possible on devices of the same “device class”, such as notebooks or desktop PCs. The old license keys can still be used for the new installation and activation of Windows 10 on new hardware. If and when Microsoft has to change, is not yet known. Is the free upgrade offer also available for Windows 7 Starter? And for Windows 8.1 with Bing? Yes, both can upgrade to Windows 10 Home. The strong functional limitations of Windows 7 Starter are eliminated – you get a full Windows 10 Home. If I use multiple Windows 8.1 PCs with a Microsoft account and snychronize all settings via the account, will I upgrade to one of the PCs then upgrade to the other one? No. For an upgrade to a PC, you must always confirm the end user license agreement (EULA) for Windows 10 on your device. Is my license valid for Windows 7 or 8.1? Yes. The free upgrade does not affect your existing license for Windows 7, 8 or 8.1, but is validated on the activation server. Will I receive a license key for Windows 10 during the upgrade? Can I use my license key for Windows 7, 8 or 8.1 with Windows 10? Yes, so far this works, although the free upgrade offer for the public is officially finished. Do I have to run an upgrade from the running Alt-Windows one time, in order to reinstall successfully afterwards? No, since Windows 10 in version 1511 this is no longer necessary. You can reinstall Windows 10 directly and enter your license key for your existing Windows 7, 8 or 8.1. Does Microsoft license Windows 10? No. The right to use a valid license for Windows 7 or 8.1 instead of Windows 10 is granted instead. Your existing license of the older Windows forms the basis for this. This upgrade does not make it unnecessary or invalid. The Media Creation Tool is a program that helps you to download Windows 10. In any case, the tool downloads the 3 Gbyte installation package from the Internet. If you select “Upgrade now for this PC” when starting the program, Media Creation Tool uses the downloaded package to update the PC to the latest version of Windows 10. This makes it possible, for example, to bring version 1607 to PCs running Windows 10 in version 1511. If, on the other hand, you select “Create installation media for another PC”, it can optionally pack the installation package onto a connected USB stick or into an ISO image. The ISO image is not only suitable for burning a setup DVD but can also be used for installation in a virtual machine. We recommend that you always create an “installation medium for another PC” – even if it is not a different PC. With a setup DVD or a setup stick, other PCs can be upgraded later without having to download the thick upgrade package. In addition, such a medium is suitable for the PC to be reinstalled clean once again, if after the version upgrade does not run around everything. In order to perform a version upgrade while maintaining all data, programs and settings, the PC must not be started from the USB stick or from the setup DVD. Instead, connect the stick while Windows is running, and double-click the disk icon in Windows Explorer – and if setup does not start, go to the “setup.exe” application. Why does the Media Creation Tool download the outdated Windows 10 version 10240 or 10586/1511? I have expected the current version 1607. You probably use an old media creation tool: each new version of Windows 10 has its own. The old tools still download the old editions. How can I distinguish the Media Creation Tools for the original version 10240, version 1511 and version 1607? Click on the file with the right mouse button, open the “Properties” in the context menu and then select the “Details” tab. When the file number is 10240, it is the first Media Creation Tool of summer 2015. If you read the number 10586, it downloads Windows 10 in version 1511. A media creation tool for the current version 1607 (the “Anniversary Update”) must have the number 14393 in the file version. Whether you are installing a version upgrade or want to upgrade to Windows 10 with the ongoing free offer: Back up your data first – preferably with a complete backup of your system partition. The upgrade installations rarely lead to a system that does not want to start. If it hits you, it does not help you – so again: Save your data. If you are using Windows 8.1, we can recommend our backup solution c’t-WIMage : It creates an image of your system partition, which is also excellent for a recovery, Windows 10 should not suit you. On Windows 7, c’t-WIMage does not work. Alternatively, Drive Snapshot is available, which is included as a one-year full version in the c’t emergency Windows. This allows you to draw as many images as you wish until the end of 2017, which can be played back indefinitely.